Miami is in the midst of undergoing a major overhaul in terms of development especially in the areas surrounding the Midtown area of Miami. In addition to the highly sought after areas of Brickell and Downtown, Midtown and the Design District have become more popular with people in search of rentals. This makes these areas more appealing to investors in search of real estate to buy as investments for rental property. 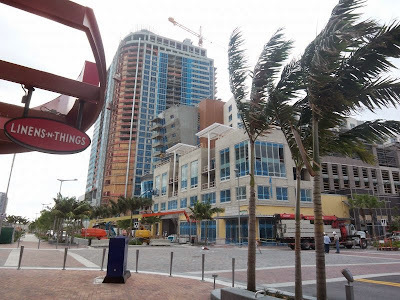 With this in mind, here are a handful of condominiums in the Design District and Midtown that present the opportunity for investors to buy units that are affordable, easy to rent and offer more potential for a good return on their investment. 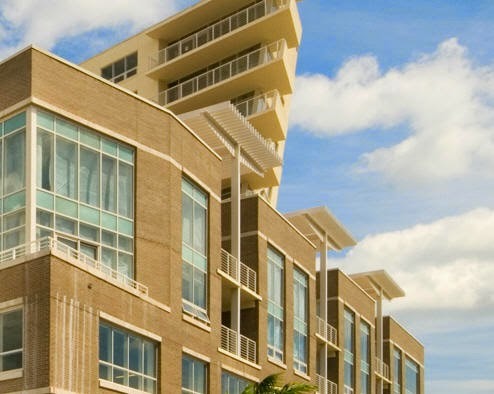 Probably the most appealing attribute of IOS on the Bay is the fact that it is a boutique condominium with a total of only 43 residences comprised of 23 floor plans – never mind that it sits on the Bay. The building itself exudes a modern design with clean and simple lines that blend perfectly with the free flow of its Biscayne Bay backdrop. Residents can enjoy a peaceful life in one, two and three-bedroom units ranging in size from just under 700 square feet to over 1,900 square feet that offer beautiful Bay and city views. Inside each residence, owners can expect to find a very contemporary interior design with very slick kitchens with stainless steel appliances, stone counter tops and more as well as master bathrooms with glass-walled showers and pebble floors. IOS on the Bay exudes a very evident yet understated “cool factor.” As for list prices, they typically range anywhere from the mid to upper-$200s to upper-$600s depending on the location of the unit and the view from the expansive balcony. Additionally, the average number of days on the market is just over 60 days (based on sales in the last six months). As for rentals, they are snapped up fairly quickly when listed. Recently rented units show that monthly rental rates start at about $1,600 for a one-bedroom and climb $6,500 for a three-bedroom penthouse with rooftop terrace. Featured in our blog in 2014, MIDBLOCK is a unique condominium situated in the heart of Midtown and features a mix of condominium units, lofts and townhouse residences. Its most interesting architectural features are probably the glass rotunda around which the rest of the building stands and how the design of the units are built with a live/work dynamic which appeals to many today. Because of its central location, Miami residents like this condominium since it is close to the other new neighborhoods of Edgewater and the posh Design District as well as Brickell and Downtown. 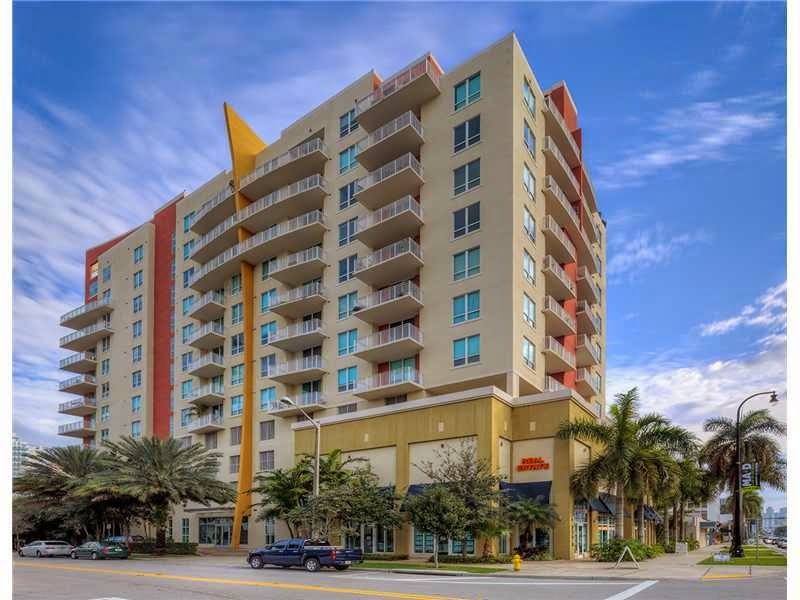 There are tons of amenities that rival five-star luxury condominiums from 24-hour valet and concierge to a state of the art fitness center to a rooftop terrace swimming pool that offer amazing views. List prices usually range from the mid-$300s to the upper-$500s with the average price per square foot at about $430. Rental rates start at about $2,000 for a one-bedroom and about $2,600 two-bedrooms. Recent rentals show that they take about 60 days to rent. Although Uptown Lofts is now considered to be in Edgewater, it is a very popular Midtown Miami condominium with lots of character and individuality. Located just a few blocks from the Performing Arts Center, these residences each have two balconies, open and airy layouts and 10+ foot high ceilings – they are lofts after all! Building amenities consist of a pool with recreation deck, fitness center, covered assigned parking, storage, and more. Buyers can choose from studios, one and two-bedroom units with list prices starting in the mid-$200s and reach $400K. Monthly rental rates start at about $1,500 and top $3,500. Uptown Lofts is an excellent option for investors as renters often seek out this condominium because of its eclectic appeal along with the affordability and location. 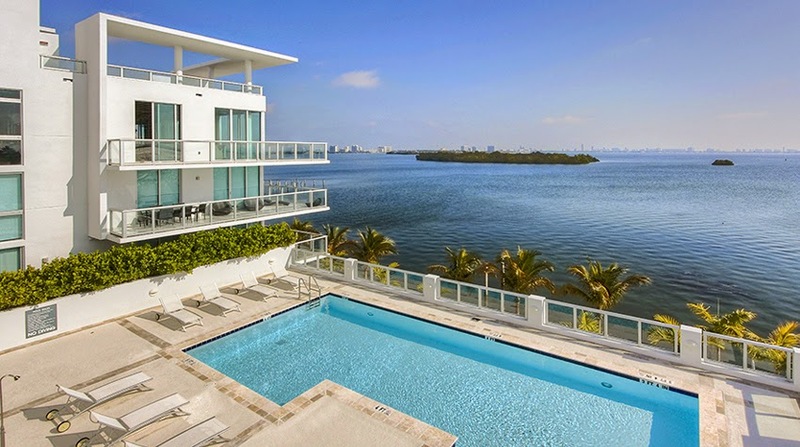 The large number of condominiums makes for many options when considering renting in Miami. With the continued increase in renters comes the increase in rental rates. Luckily, there is a huge increase in development of condominiums in areas surrounding Midtown (i.e. Edgewater, Design District, Brickell, Downtown).